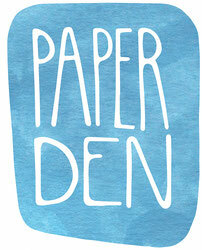 Paper Den - De website van paper-den! Welcome to Paper Den. I love to draw, paint and make collages in my Paper Den; a small studio in Rotterdam, The Netherlands. Looking for a unique gift? I sell cards, posters and drawing kits in the PaperDenShop on Etsy, give workshops and courses and can make custom illustrations. Hope to meet you soon! Karen.